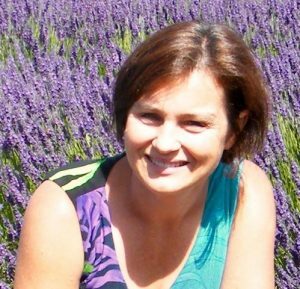 She is currently a pre–registered member of the Society of Garden Designers. This requires her to keep her knowledge up to date and to submit work for evaluation. The standards are very high. Inge’s high standard of training taught her to draw plans to scale by hand. She has since trained to use the highly effective Vectorworks software and now completes all her designs using this versatile software. This software allows her to show clients their gardens in 3D. She also has an excellent plant knowledge which is reflected in her detailed planting plans. Inge has designed a variety of gardens such as courtyard gardens, front gardens, family gardens and large estate gardens. She can produce designs for traditional and contemporary gardens. Inge’s consultancy is based in Sutton, Surrey and covers Wimbledon, Epsom, Carshalton Beeches, Sutton, Bromley, Warlingham, Woldingham, Woking, Kingswood, Banstead, Worcester Park, Barnes, Sanderstead, Purley and Putney. The garden will be built according to a design which has been created jointly by you and the garden designer. The garden landscaper/ builder will have plans drawn to scale when building the garden structures, resulting in little or no room for error at the building stage. The plans can be used by landscapers/builders to give accurate quotes for the work. The planting design comes with a price list of plants so that you can prioritise the purchasing of plants according to your budget. The plants are selected according to your soil type and the amount of light they will receive in the garden and how they work together visually. Plants can be purchased for you, delivered and planted. Attractive, low maintenance gardens are achievable. A consultancy service is available which allows you to discuss anything related to the garden from types of plants to put in pots, to advice on hard landscaping. A follow up high quality garden maintenance service is available with an insured gardener.